Sony has gone to Twitter to tease its upcoming Honami smartphone. 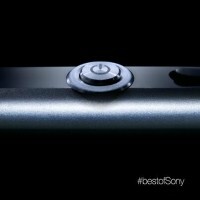 Accompanied by the hashtag #bestofSony comes an image of Sony's signature power button, complete with Sony's claims of precision engineering. Sony makes it pretty clear we're seeing the Honami power button with the caption "It's the smartphone everyone's been talking about... not long now". Not long now is almost certainly referring to the September 4 IFA presentation Sony's already invited us to. We've already seen images of the Honami in the wild and this is the second time that power button has come to our attention. We know the device will come in white, purple and black and we've even seen some camera samples from it. Rumored to premiere as the Sony Xperia Z1, the Honami should have a 20.7 MP camera, Snapdragon 800 chipset with 2 GB of RAM and four Krait 400 cores clocked at 2.2 GHz. because I already said I love Sony and I know their potential. So it's not a waste of time for me, reading uncritical comments, is.